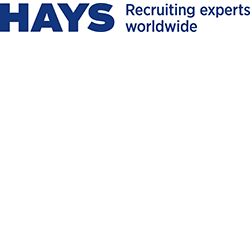 At Hays Defence we are the recruiting experts for technical and engineering specialists within the Defence industry. We cover all areas from maintenance and repair, drafting, engineering and analysis for mechanical and electrical systems, through to project and program management on acquisition and sustainment programs. We always have a range of expert defence candidates available nationwide with experience in the Aerospace, Maritime, and Land Sectors. Our specialist approach ensures we are experts in a niche part of the IT industry. We have dedicated Consultants who recruit in our ‘Cyber Security’’ vertical – a specialist area within our IT Infrastructure and Operations area that is entirely dedicated to the recruitment of Cyber Security Specialists. The advantage of this model is that we develop an intimate understanding of the market in which we operate and develop a robust network of candidates that we are able to draw upon very quickly, thereby positioning us to be extremely responsive to our clients’ requirements.